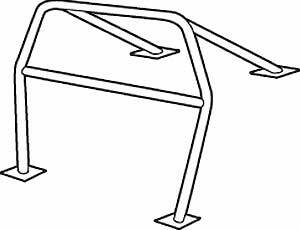 Jegster Roll Cage Kits for the GM Chevy Sedan, Impala, Corvette, Chevelle, GTO, Cutlass, Skylark, Camaro, Firebird and more. The tube ends in some roll cage kits are notched while most tube ends are not notched for a better custom fit in your particular set-up. This ''extra material'' provides you some leeway for a great fit and easier installation. Most roll cage kits require modification or removal of back seat. Does Jegster 943001K fit your vehicle?